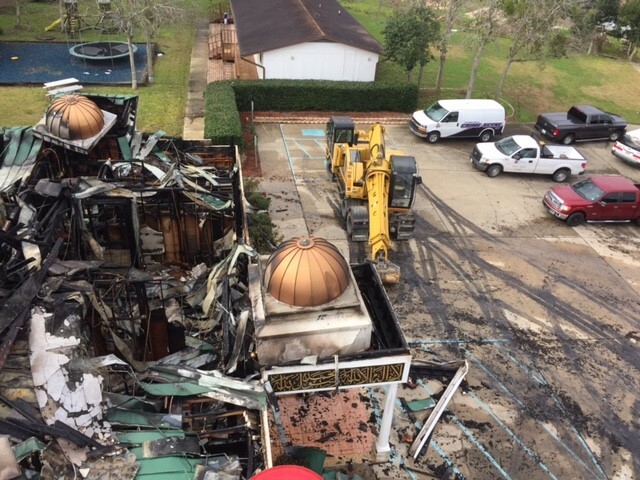 HOUSTON – The Houston Field Division of the Bureau of Alcohol, Tobacco, Firearms and Explosives (ATF), the Victoria Islamic Center Mosque, and Crime Stoppers are announcing a reward of up to $30,000 for information leading to the arrest and indictment of the person or persons responsible for the fire that destroyed the Victoria Islamic Center Mosque. On Jan. 28, 2017, at 2:11am, the Victoria Fire Department responded to a fire at the Victoria Islamic Center Mosque located at 201 E. Airline Road in Victoria, Texas. The fire fully engulfed the building causing an estimated $500,000 in damage. The ATF, along with the State Fire Marshal’s Office, the Victoria Fire Marshal and Department of Public Safety immediately began conducting an investigation into the origin and cause of this fire. The investigative agencies have classified the fire as incendiary, or intentionally set. At this time, the evidence does not indicate the fire was a biased crime. Victoria Fire Chief Taner Drake said “The investigators are working feverishly to follow all leads that will lead to the arrest of the person(s) responsible”. ATF and The Victoria Islamic Center Mosque are each offering a $10,000 reward and Crime Stoppers is offering up to $10,000 for information leading to the arrest and indictment of the person or persons responsible for this crime. Anyone with any information about this crime should contact ATF at 1-888-ATF-FIRE (1-888-283-3474) or Crime Stoppers at 361-572-4200. Individuals can also submit information through the mobile ReportIt® app, available both on Google Play and the Apple App Store. All individuals providing tips can remain anonymous.